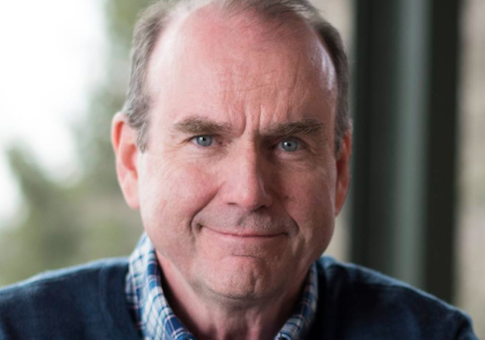 Scott Wallace, a Democratic congressional candidate in Pennsylvania, donated millions of dollars to groups that advocated taxing families for "irresponsible breeding," according to a report from Fox News. Wallace, who is running against Republican incumbent Rep. Brian Fitzpatrick in Pennsylvania's 1st Congressional District, donated almost $7 million to population control groups since 1997. The funds came from the Wallace Global Fund, a progressive foundation that his family established as a means to "promote an informed and engaged citizenry, to fight injustice, and to protect the natural systems upon which all life demands." One of the groups to receive money from Wallace was the Zero Population Growth (ZPG). The organization received $420,000 between 1997 and 2003 according to public records. ZPG, which has since changed its name to Population Connection, was founded in 1968 out of fear that the world was heading towards catastrophe because of overpopulation. The group advocates abortion and taxing families "to the hilt" for having more than two children, as noted in a Yale Law School publication about the "voices that shaped the abortion debate before the [Roe v. Wade] Supreme Court’s ruling." 1. That no responsible family should have more than two children. Any family wanting to care for more than two children should adopt further children. Adopting children does not increase the population. 2. All methods of birth control, including legalized abortion, should be freely available—and at no cost in poverty cases. 3. Irresponsible people who have more than two children should be taxed to the hilt for the privilege of irresponsible breeding…. Paul Ehrlich, who co-founded ZPG, called abortion "a highly effective weapon in the armory of population control." The group changed its name in 2002 to Population Connection while maintaining the same positions. Fox News reached out to Wallace to ask if he shares the same views. "The Wallace Global Fund has for decades been a leader in helping women gain access to family planning. Former co-chair Scott Wallace is proud of the work of grantees like Planned Parenthood in empowering women and protecting reproductive rights and will stand up for Pennsylvania women," said Zoe Wilson-Meyer, communications director for Wallace’s campaign. "Scott Wallace should clarify how many children he thinks Bucks County families should be allowed to have – and at what point he believes they are guilty of ‘irresponsible breeding,'" National Republican Congressional Committee spokesman Chris Martin said. Wallace and his family's foundation have a history of donating to controversial groups. The Washington Free Beacon previously reported the Wallace's family foundation steered millions to anti-Israel, environmental, left-wing groups. Updated: Post was updated to include a statement from the NRCC. This entry was posted in Politics and tagged Abortion, Pennsylvania. Bookmark the permalink.